Nigeria Senior Women’s Team, Super Falcons will face France in a glamour friendly at the Stade MMArena, Le Mans, on Friday, April 6. The fixture will be new manager Thomas Dennerby’s first game with the eight-time African champions. Next week’s game, which will kick off at 9pm, will be the second meeting between the two teams. In 2011, the French ladies beat their Nigerian counterparts 1-0 in World Cup group game. Nigeria have named 17 players for the encounter. The list includes Guingamp forward Desire Oparanozie, veteran midfielder Rita Chikwelu, who captained the team to win an eighth continental title in 2016, as well as home-based goalkeepers Onyinyechukwu Okeke and Chiamaka Nnadozie. Courtney Dike returns to the team for the first time since the 2015 World Cup. The Nigeria camp opens on Tuesday, April 3 in Le Mans, with Dike and Francisca Ordega –another 2015 World Cup player — expected to be the first arrivals. The duo would be joined by the delegation from Nigeria on same day. 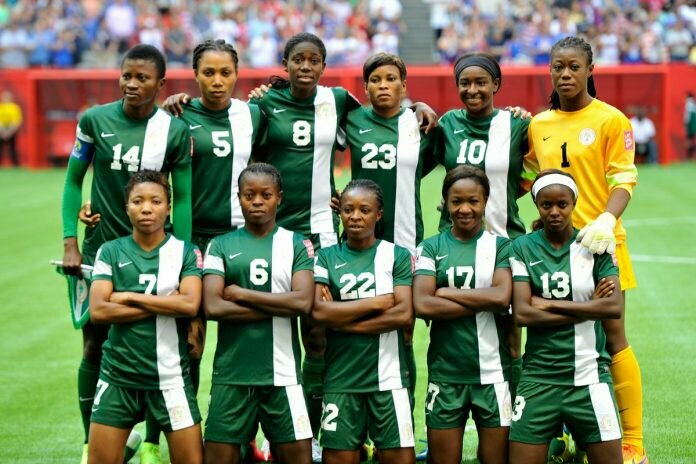 The Super Falcons will lodge at the Mercure Le Mans Centre.